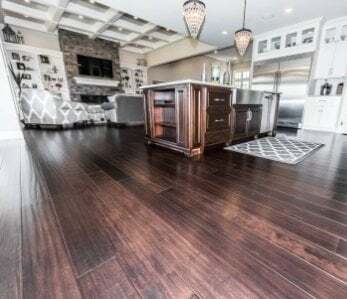 The longer we’ve been in the flooring business the more we’ve come to understand that many homeowners are conflicted; conflicted because they want the warm gorgeous look of a traditional hardwood floor, but the eco-friendliness and durability of a bamboo floor. Well, we’ve come up with a flooring product that will help many home owners shed their conflicted feelings. Introducing our new line of embossed bamboo flooring. 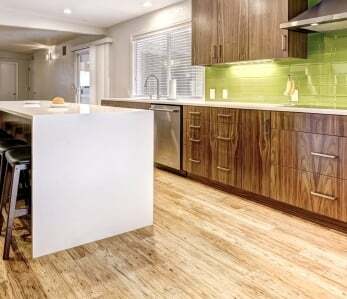 What’s So Great About Embossed Bamboo Flooring? Lots of things. 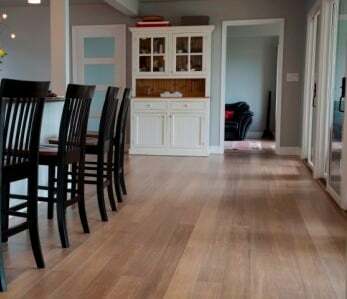 To start, we emboss our strand woven bamboo and can make it look exactly like traditional oak flooring, but because it is strand woven, it is actually three times as hard and durable as oak. Being so tough and durable, our embossed floors are a great choice for high traffic areas such as living rooms, hallways and front entryways. 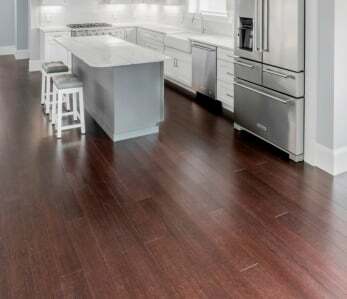 Embossed bamboo flooring also means you can make a greener purchasing decision while still enjoying the look and feel of traditional hardwood floors. And finally, because our embossed bamboo flooring uses the strand woven bamboo, it can be sanded and refinished just like traditional hardwood flooring products. Ambient believes that it is the first company to offer this kind of product. Why is Strand Woven Bamboo so Darn Tough? Strand woven floors are made by heating long strips of bamboo which are then pulled apart into strands then woven together and compressed under extreme pressure and heat. The resulting product is a material that is harder than oak. In fact, Ambient’s strand woven floors have been put to the test, literally tested at 3,944 pounds of force on the Janka Hardness Scale by an independent laboratory that provided objective and reliable results. The embossing process both imprints and stains the grain of traditional oak flooring giving you the look of true hardwood but with an ecofriendly twist. You’ve never heard of this before because we are the first company to offer this product! 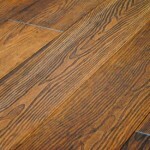 This flooring can come in Mocha or Gunstock and has a unique grain that is similar to traditional hardwoods. 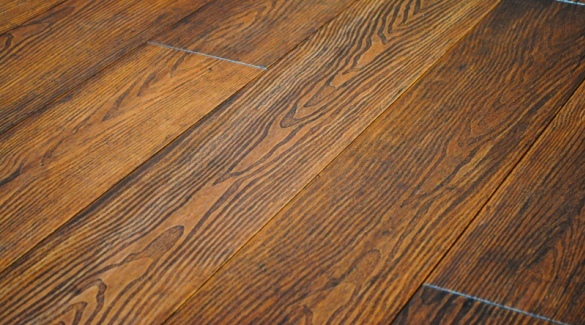 And, as a tongue-and-groove flooring, it can be installed using either a nail-down or glue-down method. 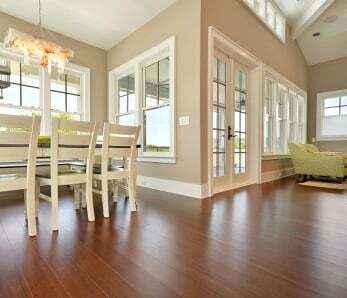 Bottom line, if you want bamboo flooring that looks like oak wood flooring, this floor shines in the spotlight in both style and performance.